Wicker is a hugely popular option for patios, decks, balconies and backyards because of its durability, easy maintenance, and casual charm. If given some basic care and attention, outdoor wicker furniture can last you for many years as a stylish addition to your home. ‘Wicker’ technically refers to a unique manufacturing process rather than the finished material itself. Traditional wicker involves weaving plant stalks and branches – typically of willow – into a strong, rigid material that can be used for furniture, baskets, and a range of other products. However, today a lot of outdoor wicker furniture uses synthetic materials to ensure greater durability in all weather conditions. Synthetic wicker is almost identical to the natural material, but offers better fade and moisture resistance and is easier to clean – making it perfect for year-round outdoor use. But despite this impressive toughness, outdoor wicker furniture should still be cleaned regularly to ensure it looks its best over time. Here are a few tips for keeping it in top condition. Before getting started, remove any cushions and set them aside for separate washing. Remove any loose dust and debris from between the cracks and crevices of your outdoor wicker furniture using the hose and/or brush attachment on your vacuum cleaner. For stubborn debris, use a smaller brush with hard bristles to dislodge the dirt in hard-to-reach places – a paint brush is a good choice. Use a mild soap and water mixture to clean the wicker. Mix a few spoons of dishwashing detergent in warm water and use a cloth to wipe the furniture down with the solution. Excessive water may cause the wicker to warp and sag, so make sure you don’t completely soak the fibres. For any mould stains, mix some bleach and warm water in a bucket to create a mild solution, and then use a toothbrush to scrub the stains off. Once the mould is gone, make sure you rinse off the bleach solution completely. 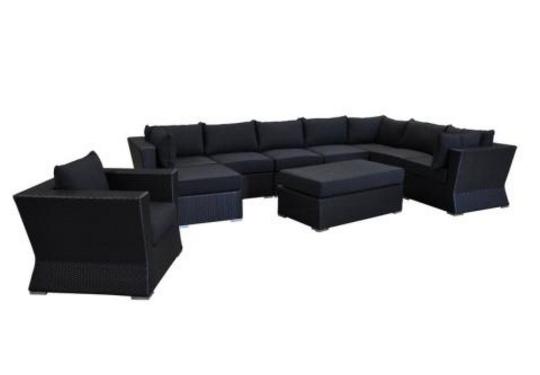 Synthetic outdoor wicker furniture is incredibly easy to clean. 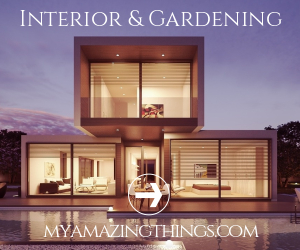 Once you’ve set the cushions aside, all you have to do is spray the pieces down with a garden hose set at high pressure to remove any dirt and dust from the crevices. The cushion covers should have their own washing instructions included on their tags, and many these days will be machine washable for added convenience. If in doubt, hand washing is usually the best approach. Just make sure that you allow both the furniture and cushion covers to dry fully before replacing the cushions. It should be noted that outdoor wicker furniture is not naturally weatherproof, so the elements can tend to wear down its woven structure, making it look shabby and feel less comfortable. To prevent this, there are plenty of protective products out there which can help to shield your furniture from the elements, including paint, varnish, oil and specialty products.